Main River cruises are combined with the Rhine or the Danube or might include both waterways. The Moselle River is also sometimes part of the itinerary as well as the Dutch and Belgian Waterways in Belgium and the Netherlands. Cruise length is between 5 and 30 days depending on the rivers that you cruise, the cities that you visit and the river cruise company. Main River cruises are always combined with other waterways, unless it’s a day or evening cruise. The most common package includes the Main with the Rhine and Danube. Some cruises also travel along the Moselle and the Dutch and Belgian Waterways. The Main River is located between the Rhine and the Danube. Cruises rarely start in a city located on the Main River. A few begin or end in Frankfurt; but, in general, most will originate in Amsterdam, Budapest, Vienna or Nuremberg. 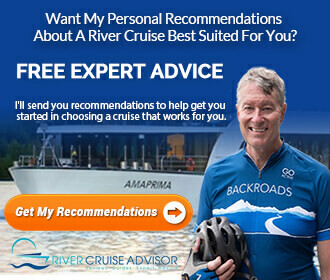 The information on this page is intended to give you an overview and a general idea of what different river cruise companies offer. With regard to itineraries – they change from year to year and sometimes within a year. The number of itineraries listed for some of the companies does not include reverse itineraries. Most of the ships that are listed also cruise on other waterways that are connected to the Main River, such as the Rhine and Danube Rivers and sometimes the Moselle and Dutch and Belgian Waterways. AmaWaterways offers two options for all cruise packages. You can take the cruise only, or you can choose to combine land and cruise packages. Interesting to Note: Most cruise packages that include the Main River are to or from Amsterdam. Cruises travel as far east as Budapest only. A-ROSA has a limited number of cruises that travel along the Main River. The company does not combine the Main, Danube and Rhine for any of its packages. Itineraries are between Frankfurt and Passau. See Ralph Grizzle’s report from Frankfurt on A-ROSA Silva. Interesting to Note: A-ROSA is the only company that has itineraries for the Main and Danube Rivers. Other companies have itineraries from the Danube to Nuremberg, which is located on the Main-Danube Canal. Avalon Waterways has more itinerary options for cruises that include the Main River than all other suppliers. It has the highest number of itineraries and also the most varied. Interesting to Note: Avalon has a couple of unique combinations on the Rhine, Main and Danube Rivers. One is between Munich and Basel and the other is from Zurich to Vienna. CroiseEurope has the second highest number of itineraries that include the Main River. Many of these packages travel to and from Strasbourg. Interesting to Note: CroisiEurope one of the only companies that travels on only the Main and Rhine. Travel is from the Rhine River to only as far east as Frankfurt. Ships on the Main: Emerald Waterways does not list specific ships for each itinerary. These are the ships that sail on the Main, Danube, Rhine and Moselle Rivers – Emerald Dawn, Emerald Sky, Emerald Star & Emerald Sun. Interesting to Note: Emerald Waterways only offers one combination for Main River cruises. Travel is on the Main, Rhine and Danube rivers between Amsterdam and Budapest. Grand Circle only offers a couple of packages that include the Main River. Interesting to Note: Grand Circle is another company that only cruises on the Main River combined with the Rhine and Danube from Amsterdam to Bucharest. Scenic Cruises has several options for cruises that include the Main River. 4 Ships on the Main: Scenic Cruises does not list specific ships for each itinerary. These are the ships that sail on the Main, Danube, Rhine and Moselle Rivers Scenic Diamond, Scenic Pearl & Scenic Ruby and Scenic Sapphire. Interesting to Note: Scenic Cruises is one of the few companies that offers cruises on the Main River with the Rhine and Main-Danube Canal. Itineraries are between Amsterdam and Nuremberg. Tauck has a limited number of itineraries that include the Main River. Interesting to Note: Tauck only offers cruises on the Main River combined with the Rhine and Danube rivers. Uniworld has a few different combinations of the Main River with the Rhine and Danube rivers. Most cruises either begin or end in Amsterdams. Interesting to note: Uniworld is one of the few companies that travel between the Rhine and Main-Danube Canal. It is the only company that travels between Basel and Nuremberg. Interesting to Note: Viking River Cruises is one of the only companies that travels between Amsterdam and Frankfurt on the Rhine and Main rivers. Paris is also listed in a couple of itineraries that include the Main River. 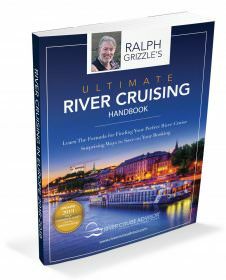 Read more Main River Cruise articles.